I'm not a person who goes out anymore, infact I am spending tomorrow baking cupcakes - yum! But I do love decorating the outside and my university flat is currently full of spider decorations and banners. This weekend I have come home and love getting the outside of the house decorated, and one thing we don't do enough is pumpkin carving! 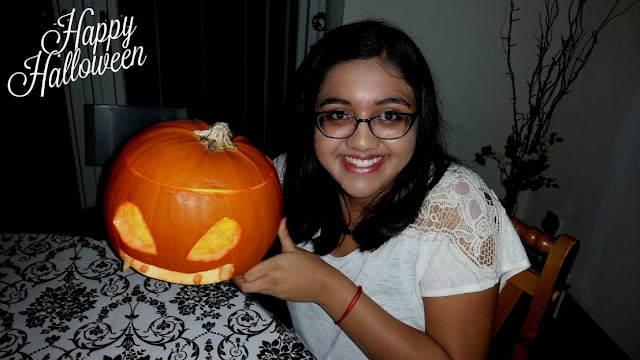 I jumped at the chance to get my creative juices flowing and thanks to the lovely people over at GrownWithLove I was sent a amazing pumpkin to carve out of and after spending hours on Pinterest looking for ideas. I saw an idea of adding fangs which you cut out from the mouth piece, not as easy as it looks but still do able as you can see above. 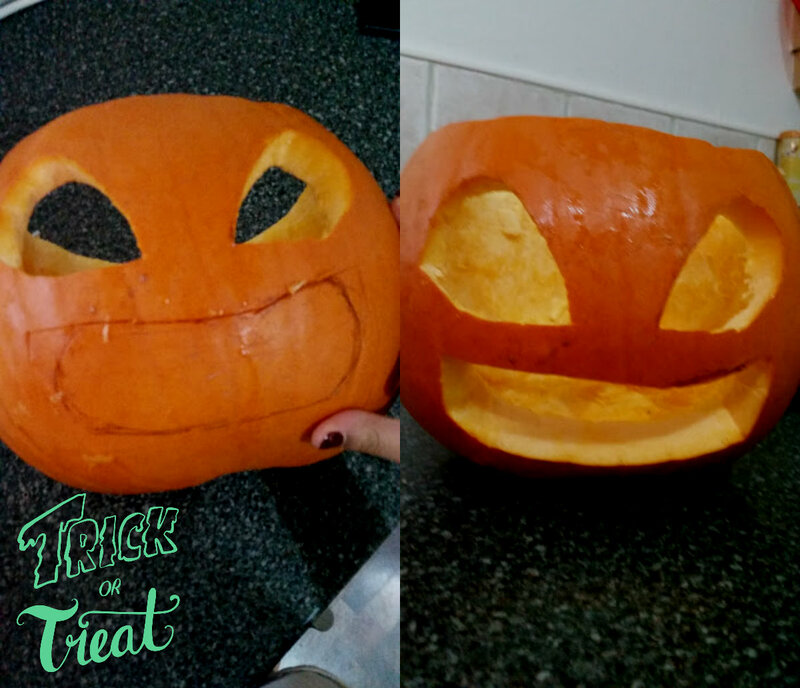 Some helpful hints for carving a scary face is to draw your design on faintly with a pen and then cut, it makes it easier to see where to cut it. Use a large spoon to scrape out the middle not your hands. 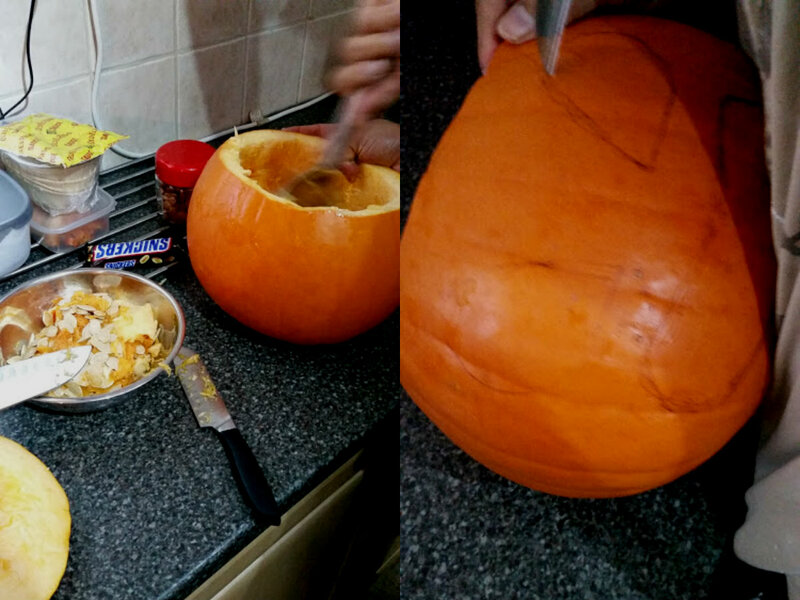 Take out and use a variety of knifes and tools, carving kits are out there to buy but just use knives! 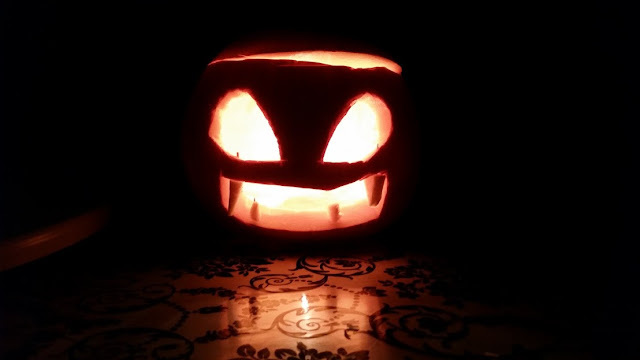 Overall, I am pretty pleased with the result of this pumpkin! My dad helped me to put this creature together and its not bad at all. Now it needs a name...any suggestions? Are you doing any Halloween preparation today? !